In the Step 4 of your video, you can add your social information like your YouTube channel, Twitter and Facebook ID and email address to the movie. This will automatically be added at the end of your project. This is really helpful for social media marketing. 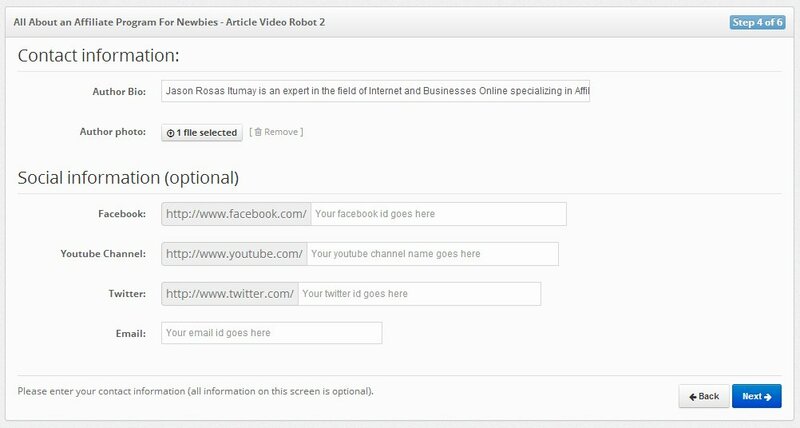 Adding your YouTube Channel also increases the viewership of your other videos.